June has always been my favorite month. No it's not really about I'm turning 24 soon. In fact 24 sounds a bit scary to me, where are the years going ? I love that everyday always different, while last year I celebrated my birthday in Vietnam and Cambodia, this year I'm going to take it easy visiting Thailand with my best friend. Went to Yogyakarta last week – we met lots of interesting people and soon I’m going to share the photos and stories here on the blog, also been working on some projects, even did this mini show with some cool kids from one of international schools in Jakarta – which it really meant a lot to me. I love working with kids, simply because they’re always happy and energetic. Haven’t dealing with little crazy monkeys since I left Malaysia 2 years ago, so that morning when the principal invited me to the school, he asked me to create one dance for grade 3, I decided let’s just dance, be crazy, and have fun. I put some African songs, top 40, and few songs from Grease. Results ? They danced. They laughed. 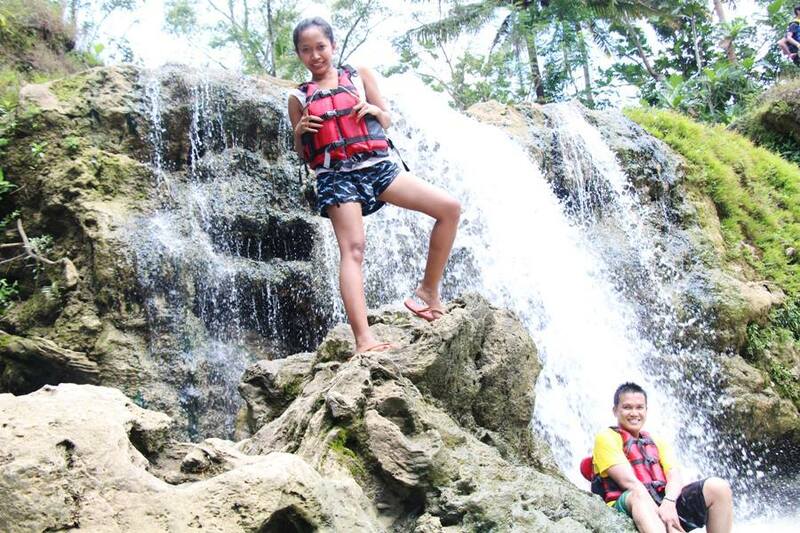 We all had fun. I found myself unbelievably happy dancing and moving with them, sometimes dealing with kids is so much easier than dealing with adults from oil and gas industry. And the other days, I spent a lovely evening with a good friend of mine. We were just sitting in front of the ticket box in the cinema, talking about dreams, tea, passion, and business. He’s such a big inspiration to me. To create, learn, dream and achieve more. Isn't it amazing to be surrounded by inspiring people. Never thought I’d get this far… Being 24 should be fun. Arrived in Desa Wisata Bejiharjo, we took ojek or motorcycle taxi to Goa Pindul, Rp 40.000 and the man will drop you to Goa Pindul and pick you up back to the bus station. We were lucky when we reached Goa Pindul there were only few tourists there as normally the guides said hundreds of people lined up to get inside the cave. 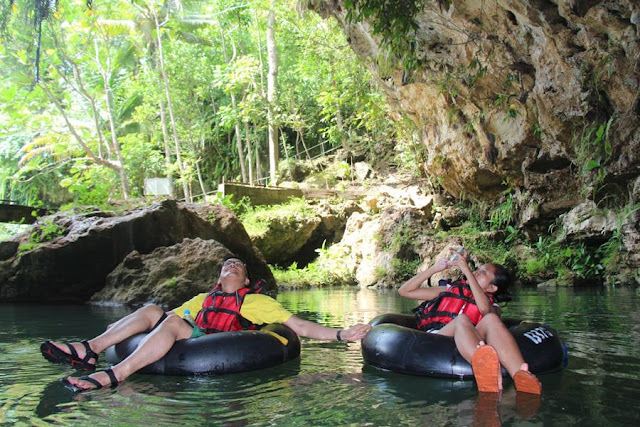 We decided to go on cave-tubing, explore what’s the cave like and a quick dip in the river before rafting and off-road. The friendly guide brought us to the cave. He explained that since couple of years ago local people decided to open Goa Pindul as a tourism destination in Yogyakarta, Goa Pindul has attracted not only locals but also international tourists. 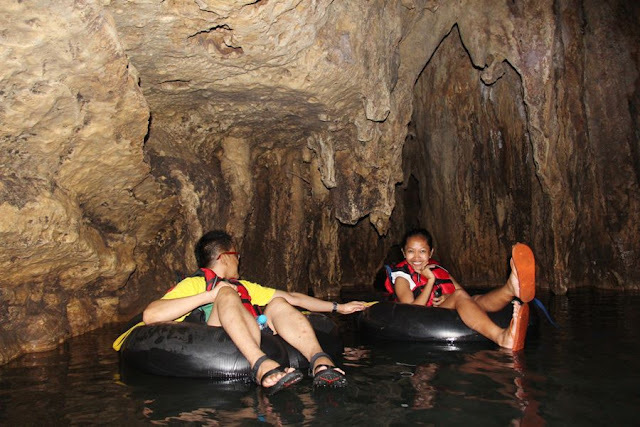 For me, it’s not only the beauty of the cave and the village, but also the smile and how friendly the local people there make our first experience cave-tubing in Goa Pindul super unforgettable. Goa Pindul offers several types of tour package you can choose. 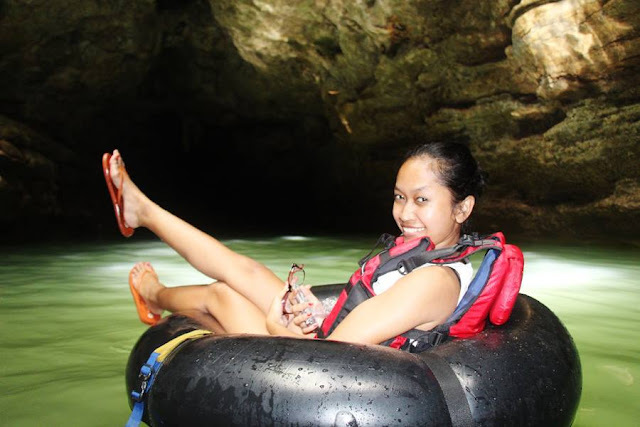 For cave-tubing only costs Rp 30.000 per person, that is including the tube, guide and insurance. 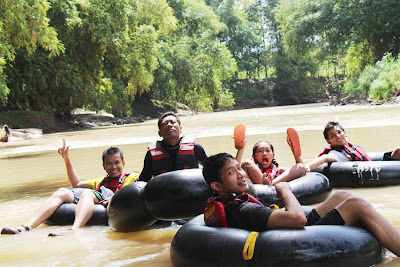 While for river tubing costs Rp 45.000 including transportation, tube, guide and insurance. 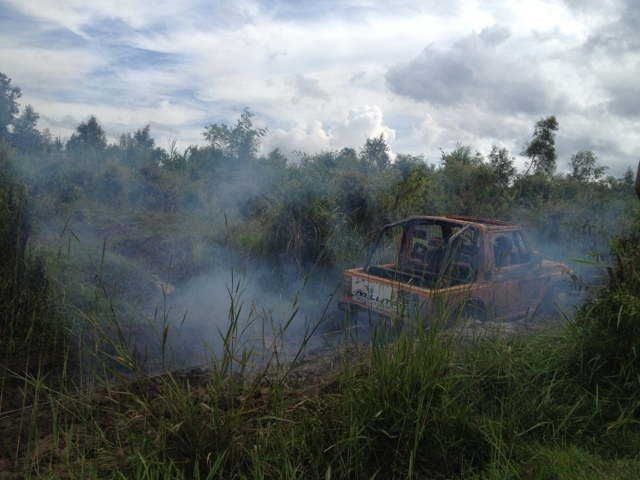 Off-road costs Rp 300.000 for maximum 3 people. If you plan to spend a night in Goa Pindul, experience staying with locals at the homestay with a room Rp 30.000 per person. Mbah Ireng - our guide, flying ! Indonesian Next Top Model ! 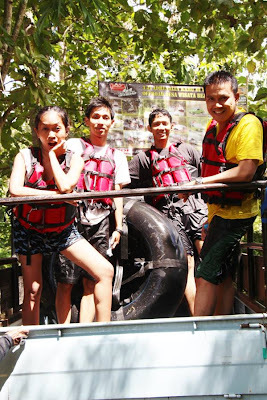 Thank you for visiting goa Pindul, please come back and we will serve you. 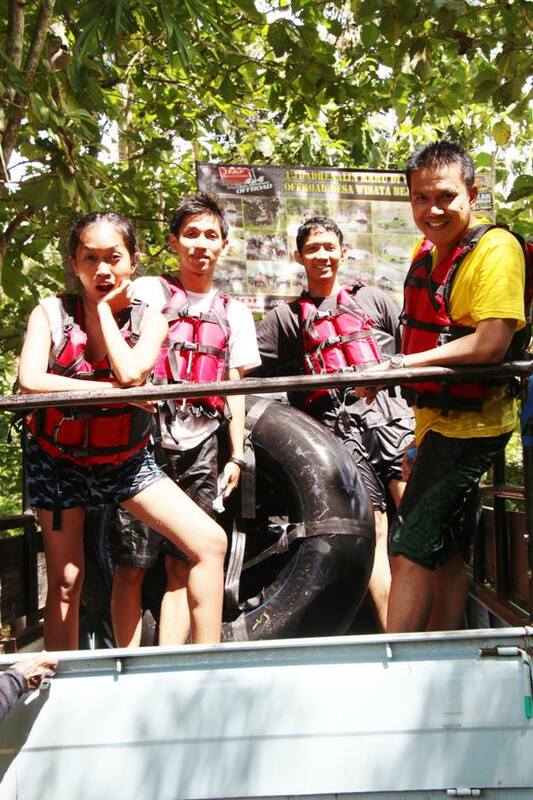 For information and ticket reservations please go to official site goa pindul or call our number 0899297884. We will pick you up from the highway without any additional cost. I like your blog with a very interesting detail about river floating austin tx i really appreciate it.